The Deputy Commander of the IRGC, Hossein Salami (Tasnim, January 28 2019). The meeting between Iranian deputy president and Syrian prime minister (Mehr, January 29 2019). The meeting between the Syrian and Iranian foreign ministers in Tehran (Tasnim, February 5 2019). Iranian ambassador meets a delegation of Iraqi public figures (IRNA, January 28 2019). A meeting between Abdollahian and the speaker of the Iraqi Parliament (Mehr, February 5 2019). 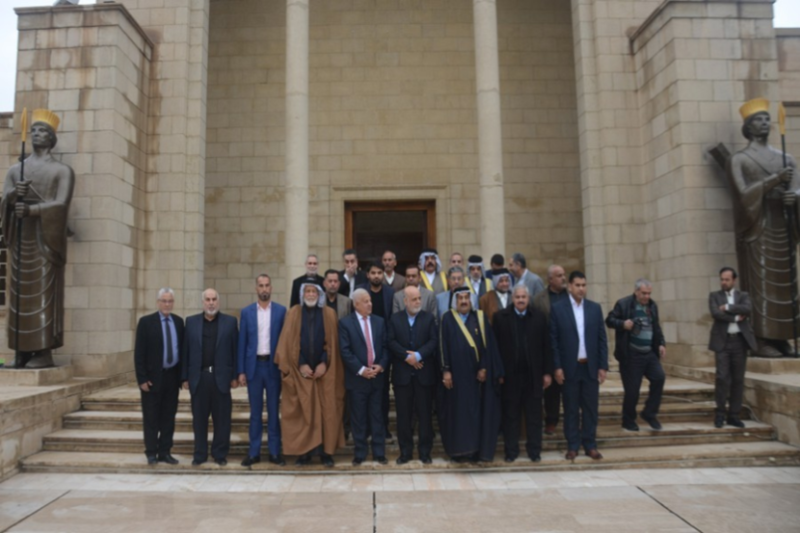 The meeting of the Iraqi and Iranian ministers of science (Mehr, February 2 2019). Against the backdrop of the latest escalation between Iran and Israel and Israeli threats to continue acting against Iranian expansionism in Syria, Iran is issuing menacing statements at Israel. The deputy commander of the Iranian Revolutionary Guards Corps (IRGC) warned that if Israel launched a war against Iran, it will lead to its annihilation. The secretary of the Supreme National Security Council stated in his meeting with the Syrian foreign minister, who visited Tehran, that if Israel persists with its activities in Syria, measures will be taken against it that will teach its leadership a lesson. Iran and Russia continue to hold discussions regarding the settlement of the war in Syria ahead of the summit of Iranian, Russian and Turkish leaders on the matter set to be held in Sochi, Russia, in mid-February. Senior Iranian officials emphasized once again the strategic cooperation between Tehran and Moscow. This followed criticism by the chairman of the Majlis National Security and Foreign Policy Committee over Russia’s conduct during the Israeli strike carried out last month against Iranian targets in Syria. Meanwhile, Iran is continuing to strive to expand its economic influence in post-war Syria. Iranian deputy president visited Syria at the end of January and inked deals for cooperation in various spheres between the two countries, including an agreement for strategic long-term economic cooperation. Iraq continues to serve as an arena for contestation between Iran and the United States. The statement made by President Trump that the U.S. presence in Iraq will stay in place to closely monitor Iran was met with harsh criticism by senior Baghdad officials and commanders of pro-Iranian Iraqi militias. Meanwhile, Iranian and Iraqi officials continue to exchange visits to Tehran and Baghdad. The adviser of the chairman of the Majlis on international affairs met with Iraq’s leadership in Baghdad, while the Iraqi minister of science visited Tehran to sign an agreement concerning scientific and technological cooperation; the governor of the Iranian Central Bank paid a visit to Baghdad to discuss cooperation in the banking sector and repayment of Iraqi debt to Iran for electricity and gas usage. 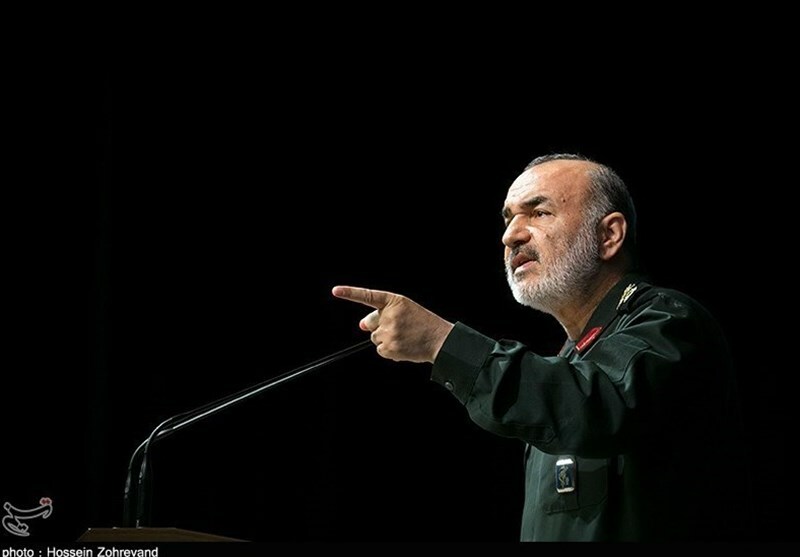 Against the backdrop of the latest escalation between Israel and Iran in Syria, the Deputy Commander of the IRGC, Hossein Salami, issued a threat stating that if Israel launched a war against Iran, this will lead to its annihilation. At a conference in the city of Mashhad, Salami claimed that Israelis are trying to shift the strategic balance of power and compensate for their psychological fears through tactical operations and attacks on weapon depots in Syria. He added that Israel should not play with fire, as it will be eliminated even before the United States will be able to come to its rescue. Salami argued that conditions have been created for the eradication of Israel because large forces from all over the Muslim world are now present in Syria and every inch of Israel is now within firing range (IRNA, January 31). A few days earlier, Salami declared, in response to Israel’s threats to continue striking Iranian targets in Syria, that Iran’s strategy is erasing Israel from the political geography of the world and that Israel’s evil deeds hasten its ends. He proclaimed that if Israel carries out action that will spark a new war, that conflict will end in Israel’s annihilation (Tasnim, January 28). On January 28, Eshaq Jahangiri, the First Deputy of Iran’s President, arrived for a visit in Syria at the helm of senior economic affairs officials. Upon arrival in Damascus, Jahangiri reported that Iran reached an important agreement for cooperation in the banking sector with Syria, and that Iran will establish several power stations in Syria, the first one in Lattakia. He asserted that Iran will stay by Syria’s side during the reconstruction phase, just as it stood by Syria in its struggle against terrorism (Fars, January 28). During the visit and at the end of the meeting of the Joint Syrian-Iranian Supreme Committee, the two countries signed 11 agreements and memoranda of understanding concerning cooperation in the spheres of economy, sciences, infrastructure, culture, construction, energy and agriculture. 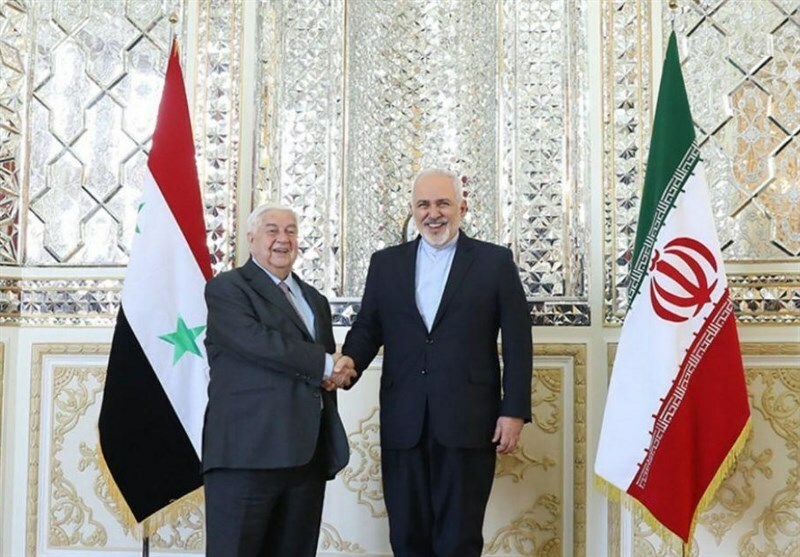 Among other deals, the Iranian deputy president and the Syrian Prime Minister, Imad Khamis, signed an agreement for strategic and long-term economic cooperation. In addition, the two countries signed an agreement concerning cooperation in the banking sector, which provides for the establishment of a joint Iranian-Syrian bank, as well as agreements concerning the rehabilitation of the Tartous and Lattakia ports by Iranian companies (Mehr, January 29). During his meeting with the Syrian President, Bashar al-Assad, Jahangiri stated that the war in Syria was not a war against the government and people of Syria, but a war against the security of the region and the “Resistance Axis,” a war supported by the West, and particularly the United States, and some of the countries of the region (Mehr, January 29). The Spokesman of the Iranian Ministry of Foreign Affairs, Bahram Qasemi, stated that Iran and Russia have an important partnership and maintain close and mutual cooperation in the region, particularly in the struggle against terrorism in Syria. He emphasized that the two countries will continue their cooperation to realize their mutual special goals. He emphasized that the statement made by the Chairman of the Majlis National Security and Foreign Policy Committee, Heshmatollah Falahatpisheh, who had criticized Russia for not utilizing its missile defense systems during the Israeli strike against Iranian targets, does not represent the official position of Iran (Fars, January 28). In early February, Hossein Jaberi Ansari, the Adviser to the Iranian Minister of Foreign Affairs, met with the Special Envoy of the Russian President for Syria, Alexander Lavrentiev, and discussed developments in Syria (Mehr, February 3). The meeting was intended to lay the ground for a summit between the leader of Iran, Turkey and Russia set to be held in mid-February in Sochi, Russia. On February 5, the Syrian Minister of Foreign Affairs, Walid al-Muallem, arrived for a visit in Tehran. He met the Iranian Minister of Foreign Affairs, Mohammad Javad Zarif, the Secretary of the Supreme National Security Council, Ali Shamkhani, the Speaker of the Majlis, Ali Larijani, and the Adviser of Foreign Affairs to the Supreme Leader, Ali-Akbar Velayati. Al-Muallem discussed developments in Syria and in the region as well as bilateral relations with his counterparts. In his meeting with al-Muallem, Shamkhani proclaimed that just as Iran stood by Syria’s side in its struggle against terrorism, it will not spare any effort to assist it and advise it during its phase of economic reconstruction. He asserted that Israeli strikes in Syria must be deemed unacceptable and warned that if Israel continues its activities in Syria, measures will be taken against Israel. These pre-planned measures are intended to deter Israel and provide a response that would serve as a lesson for the “Israeli criminals.” The Syrian minister of foreign affairs stated in the meeting that the Iranian military advisers were invited to Syria to assist Syria’s armed forces in their struggle against terrorism, adding that the Syrian government is committed to maintaining the safety of Iranian forces on Syrian soil (Fars, February 5).The Speaker of the Majlis, Ali Larijani, stated in an interview to the Lebanese (pro-Hezbollah) TV Channel al-Mayadin (February 1), marking the 40th anniversary of the Islamic Revolution, that Iran does not have military bases in Syria and does not need to maintain permanent military presence in countries of the region. Iran assists these countries, when they ask it to do so, and local forces, including Hezbollah, Hamas and Palestinian Islamic Jihad. Larijani commented that Iran’s continued presence in Syria depends on developments on the ground and the activities of terrorists in parts of the county, such as Idlib. He emphasized that Iran will continue to help Syria as long as the government in Damascus needs this assistance. Referring to U.S. activities in the region, the speaker of the Majlis asserted that the enemies of the Islamic Revolution aimed to establish a new Middle East, but failed to achieve this goal. This failure manifests in the fact that when the U.S. president wants to travel to Iraq, he must do so in the middle of the night, due to the great hatred toward the United States in the region. The Americans maintain bases in Iraq, but they do not have the courage to exit them, he argued. By comparison, Iranian enjoy popular support among the region’s inhabitants, due to the assistance they offered to Syria and Iraq in the campaign against ISIS, and Iranian forces and officials can walk around freely among civilians, Larijani opined. 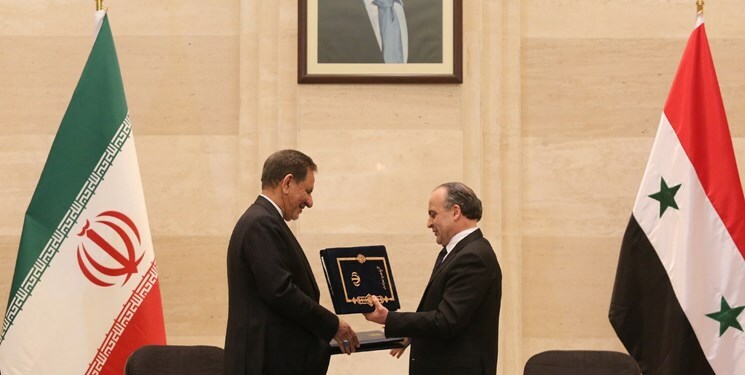 In early February, an Iranian parliamentary delegation headed by Ahmad Mazani, the Chairman of the Culture and Guidance Committee of the Majlis, visited Syria to discuss expanding cultural and scientific cooperation between the two countries. In a meeting with the Chairman of the Syrian Parliament’s Cultural, Education, High Education and Scientific Research Committee, Abdul-salam Mohammad Rashed al-Dahmoush, Mazani emphasized the need to expand cultural cooperation between the two countries (IRNA, February 4). At the end of January, Iranian Ambassador to Iraq, Iraj Masjedi, met with a group of Iraqi academics, journalists and tribal leaders. During the meeting, Masjedi proclaimed that the efforts to cause disagreements and hostility between the Iranian and Iraqi people will fail, since the relationship between the two countries is historic and deep. Masjedi commented that Iran is proud of the assistance it provided to Iraq in its campaign against ISIS, and saw this assistance as a duty. He addressed the cooperation between the two countries in the energy sector stating that Iran exports electricity and gas to Iraq and assists it in establishing a power station, which once completed, will solve the electricity shortage in southern Iraq. He emphasized that Iran is standing by Iraq’s side not only during war, but also during its reconstruction (IRNA, January 28). 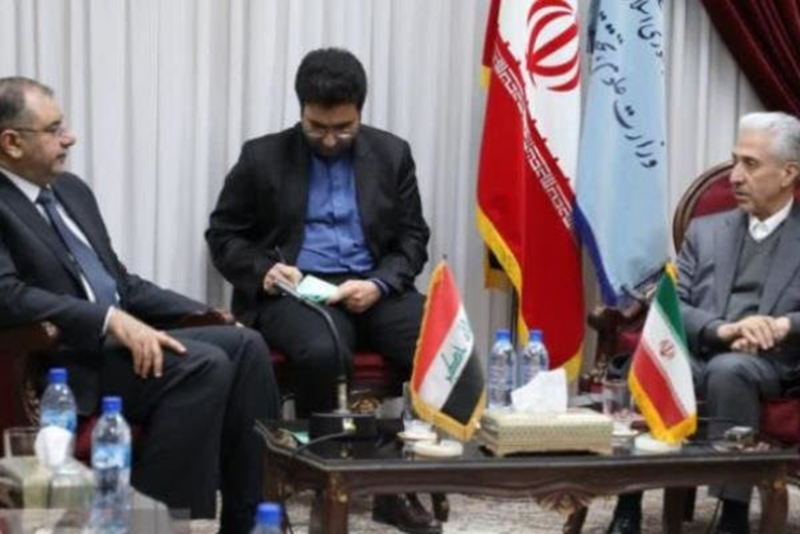 In early February, Hossein Amir Abdollahian, the Adviser on Foreign Affairs to the Speaker of the Majlis, visited Baghdad and met with senior Iraqi officials, including the Speaker of the Iraqi Parliament, Muhammad al-Halbusi. Abdollahian invited al-Halbusi for an official visit in Tehran. In addition, Abdollahian met with Sayyed Ammar al-Hakim, the leader of the Shi’ite Party, the National Wisdom Movement, and discussed developments in Iraq and the region, as well as bilateral relations (Mehr, February 5). Last week, al-Hakim harshly condemned to the statement of U.S. President Donald Trump in an interview to the CBS network, according to which he wants to maintain U.S. presence in Iraq after the withdrawal of U.S. troops from Syria, to closely monitor Iran. In response to this statement, al-Hakim posted on his Twitter account (February 4) that Iraq will not allow itself to become an arena for settling regional and international scores, or as a basis for spying on its neighbors or a launching pad for aggressive action against them. Iran and Iraq signed an agreement concerning scientific and technological cooperation. In a meeting between the Iranian Minister of Science, Mansour Qolami and the Iraqi Minister of Science and High Education, Qusai Abdul Wahab al-Suhail, held in Tehran on February 2, the two sides agreed to increase academic and scientific cooperation between the two countries. The Iranian Minister of Science stated in the meeting that over 3,300 Iraqi students are currently enrolled in Iranian universities, about 700 of them PhD students. 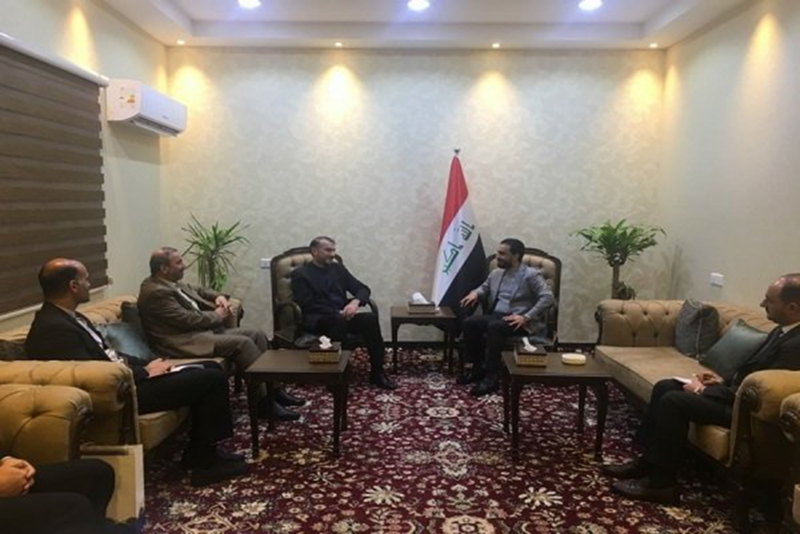 He stated that Iran is willing to admit more Iraqi students and expand the exchanges of students and faculty between the two countries (Mehr, February 2). On February 5, the Governor of the Iranian Central Bank, Abdolnasser Hemmati, arrived for a visit in Baghdad to discuss with Iraqi officials the banking ties between the two countries and to sign an agreement concerning the repayment of Iraq’s debt to Iran for electricity and gas purchased from Iran (Tasnim, February 5). In a media interview, the Secretary General of Palestinian Islamic Jihad, Ziad al-Nakhla, proclaimed that Iran is the only country that supports “the resistance” in Palestine. He insisted that Arab countries do not support the Palestinian people and that the Islamic Republic in Iran is the only one that supported the Palestinians since the victory of the Islamic Revolution (1979). He added that Iran does not try to convert Palestinian to Shi’ite Islam and Iran’s support for the Islamic Jihad and other Palestinian factions was never predicated on religious criteria (meaning, the division between Shi’ites and Sunnis). According to al-Nakhla, all the capabilities of “the Resistance” to date have been achieved thanks to the support of the Islamic Republic (Fars, January 30).